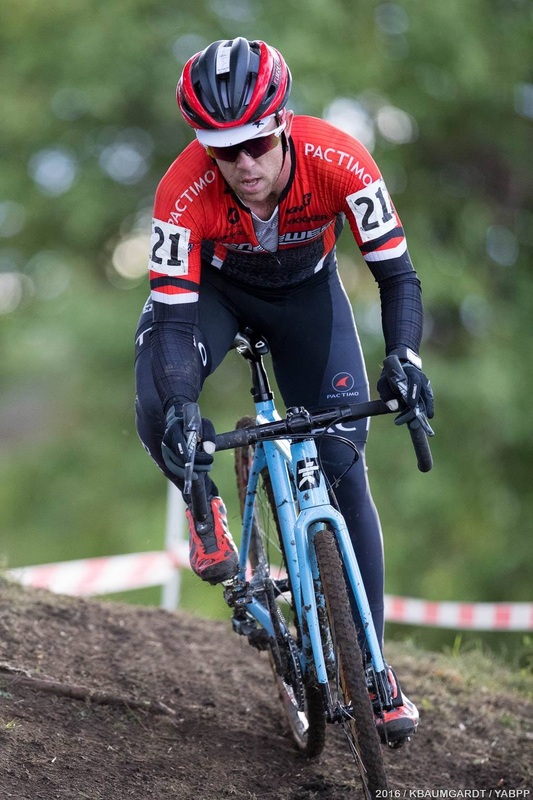 New to the Pro CX and UCI calendar this year is the North Coast Grand Prix or Cyclocross. Looking at the calendar earlier in the year, I thought it might be a good opportunity to swoop up some points towards Nationals in January. Of course, meeting my friends Brent and Korin during Cross Camp was a fortuitous event that made racing all the more plausible. So, after a couple weekends of being home, it was off on another UCI adventure! I left Dallas early on Friday morning and arrived in Cleveland under dreary skies. At least, my streak of wet and muddy races looked to remain intact! Brent picked me up from the airport and we jetted back to the house to build bikes and get out for a ride. The fall colors were stunning and it’s always the part I miss the most about living in the South. Sure, I grew up mostly in Florida. 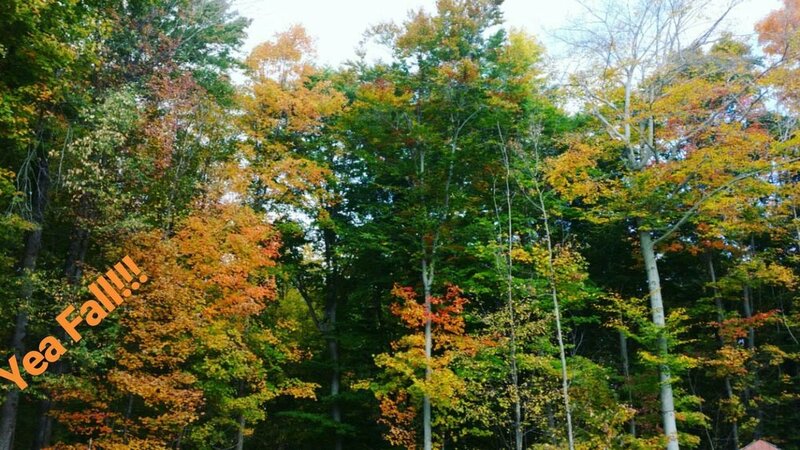 But after living in the Northeast and Mid-Atlantic for a bit, seeing some fall colors was a welcomed sight. After a soggy ride with some openers (and not enough layers), I got to celebrate Brent’s birthday with their family and friends. Everyone was so welcoming and accommodating. It’s not like they were there to welcome me, but the great advantage of traveling for racing and staying with local hosts is that you get to meet some truly amazing people! While the rain had dissipated, the clouds still hung around on Saturday morning. Dylan and I packed up the Ford Fiesta with 4 bikes, wheels, and gear (I knew my Tetris skills would come in handy! ), and headed off to the course near downtown Cleveland. The wind was howling off of Lake Erie, and even though the sun had finally arrived, it felt at least 20 degrees cooler with the wind chill. 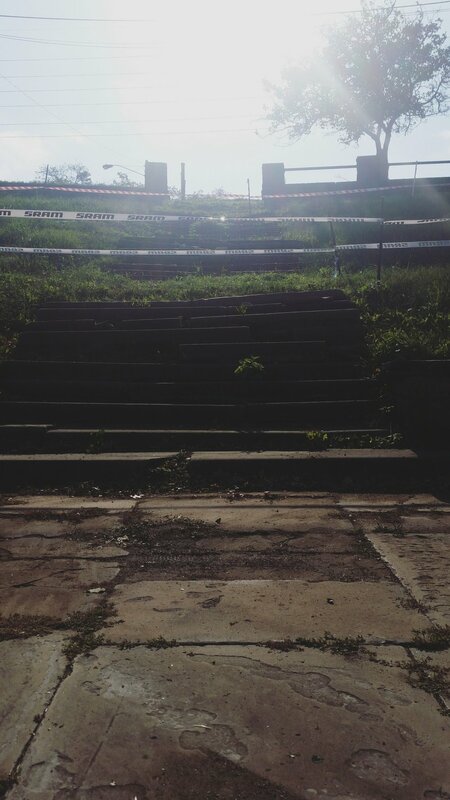 Set up with our Küdü Collective friends, we took a couple of laps of the course to get a feel for what was in store. The course could be divided into three parts: (1) the lower, pedaling sections, (2) the off camber with u-turns galore, and (3) the upper field. The opening stretch of the race allowed for plenty of passing and wide-open sections of pedaling. Of course, with the windy conditions, having someone to draft would prove helpful. The second half of the course traversed the large slope that spanned the park, snaking up, down, over and across the grade. There were plenty of punchy climbs that required full braking followed by full power. Do that ten times per lap for 60 minutes and you’ll be in a world of hurt. 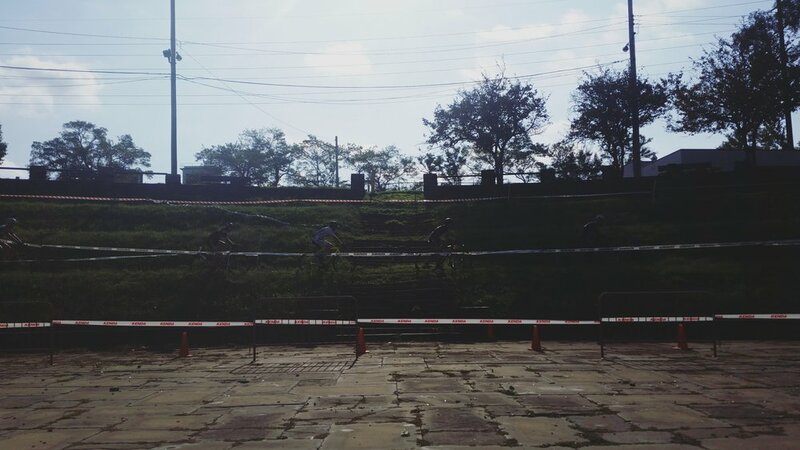 The last section of the course (which was really towards the middle of the lap) was an upper field at the top of the hill which only had a notable mud bog in the middle of it. The sun and wind continued to dry out Friday’s rain as the day wore on. With race time at 4pm, the track ran completely different from the morning sessions. If you’ve been following along this season, you can already guess where my call up was… yea, dead (f) last. I’ll be honest, it’s a bit frustrating to continue to be “randomly” sorted to the back. BUT starting spot is just for show. Off the line, I didn’t have a great start as guys missed pedals in front of me and the all-out blast off from the line left me on the back foot and at the back of the pack. Dodging the riff raff and typical first lap crashes, I was steadily making my way through the pack and by lap 1, was in the mid-twenties. The early efforts took their toll on me as I had to slow a bit for a couple laps and catch my breath. After that I could resume my pursuit of a better position. I kept working and working and working, hoping to just make the lead lap. It seemed as though I was by myself for half the race, probably because I was. As I hit the bell lap, I was starting to close the gap to the rider in front of me, but ran out of real estate to make the catch. While I was satisfied with my 15th place finish, I know that I have the ability to put a good race together and finally break into the top 10, no matter where I start on the grid. 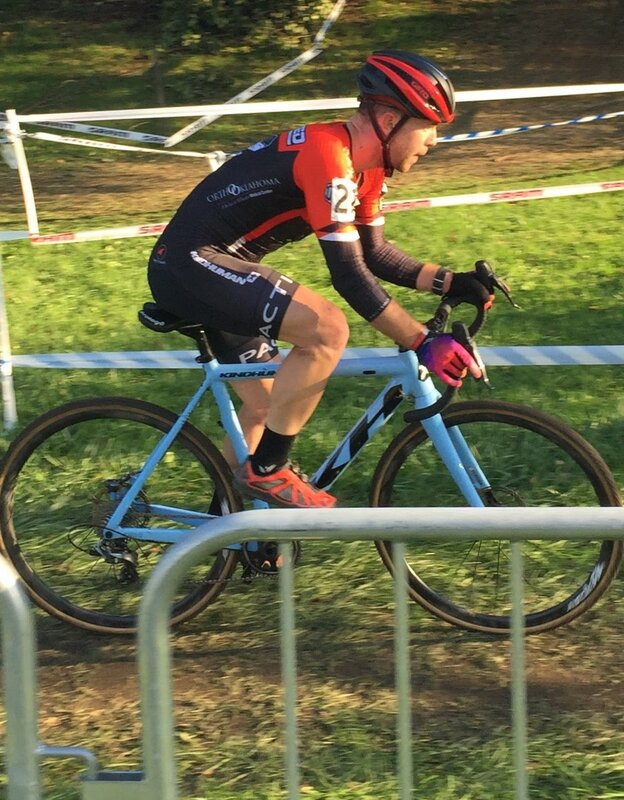 The other half of Renewed CX, Dylan Postier, put together a solid ride to finish 11th and score himself some more Pro CX points. After a relaxing evening with good food and good laughs, we awoke on Sunday to blue skies and calm winds. I headed to the course early to help Brent before his race – as much as I could - and check out what course changes had been made overnight. The answer to that last bit was… nothing. Overall the course remained the same, with one exception of a newly inserted brick wall. The ledge, no more than two to two and half feet tall, was at just the right height to be rideable to some and unrideable to others. While I know I could have ridden it, preride was not the time to try and teach myself the technique to do so. Pro tip #1: In the race, go with what you can do 9/10 times. The course had drier conditions than Saturday and I was able to run my Challenge Chicanes instead of the Limus to tackle Sunday’s edition. My call up wasn’t much better, third row instead of fourth, but I wanted to make up for Saturday’s errors. Off the line, I got into the pedals quickly and stood up to hammer. 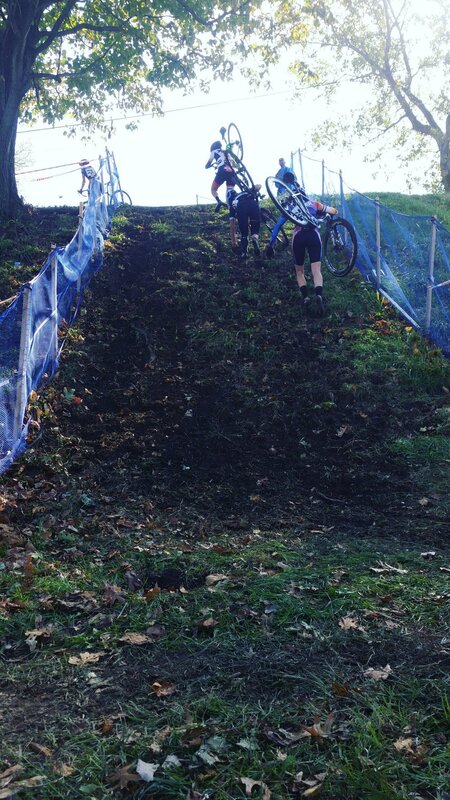 But again, my progress was stymied by riders fumbling for their pedals and fumbling all over the course as a result. Pro tip #2: Practice starts people! The poor start of others, shuffled me to the back of the group and I had to take my time getting back into the race. Which, looking back may have been an okay thing. I was patient in the first lap and avoided crashes and tangles that snared other riders. Successfully crossing the line after lap one, I was able to start to get to work. With patience, I moved through the field sticking to MY lines and racing a smoother, more consistent race. Of course, Brent and the crew were in the pit reminding me to "Focus!" The laps ticked on and I was making some steady progress through the field, racing by myself. Trying to keep your focus and stay motivated while racing solo is not an easy task. Unless you're making progress on the prey that lies in front of you, it can be really easy to let your mind wander. But thankfully, I had moved into the top 20 and riders were coming back from the early pace setting. With just a few laps to go, I had made my way inside of the top 15. Thirteenth place was coming closer and closer, and I felt like if I kept my last couple laps cleaned and went for it on the last lap, I could make up that spot. On the last lap, I was starting to pour more gas on the fire for the second half of the lap. Passing through the mud bog successfully, I was opening it up and setting up to round a right-hand turn. But, as luck would have it, the organizers had moved the stake in a couple feet, and at the point of initiating the turn, I clipped my foot on the stake and slid out through the turn. While my spirits were bruised as I watched one rider pass me, I dusted myself off and finished off the lap, crossing the finish line in 15th. Consistency counts for something though, right?! Despite my initial expectations for a top 10, I am quite stoked on finishing 15th each day. Sure, I feel like I could have improved a bit. But the trip was more than just races and results. It was a great chance to spend time with good friends and gain more experience at an elite level. My trip to Cleveland was definitely filling for the soul and while I was sad to leave, it would only be a couple days before another Ohio adventure! Pack it up to do it all again!